Exceptional plastic surgery is always a matter of choice - the plastic surgeon and the patient must make all the right decisions in order to create a work of art. Doing so requires a board-certified plastic surgeon’s comprehensive understanding of how different approaches to treatment affect the final results. Working together with Dr. Mark Deuber, you can achieve natural-looking beauty with breast enlargement or other plastic surgery procedures. Our Dallas, Texas cosmetic surgery practice would like to provide you with relevant, in-depth information that will help you make the choices that will produce the best aesthetic results with minimal recovery time. Specializing in 24 Hour Recovery Breast Augmentation, Dallas plastic surgeon, Dr. Mark Deuber has a very different perspective on all aspects of breast augmentation. 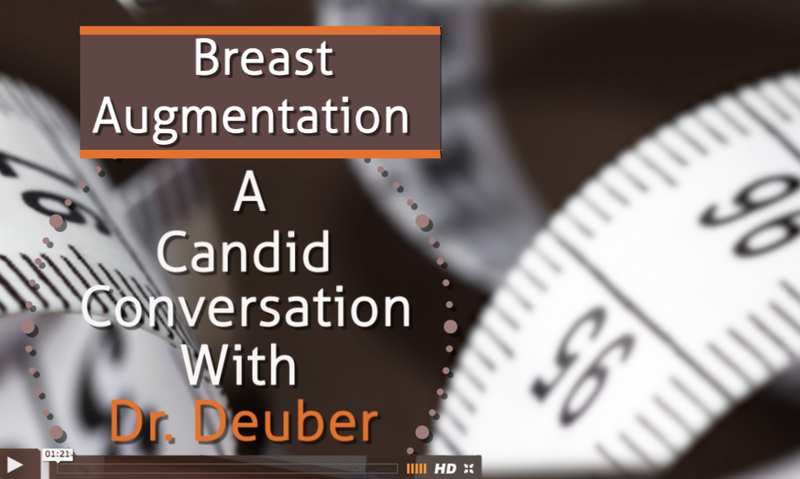 Explore tips on how to determine breast implant size to why 24 Hour Recovery breast augmentation is so important to patients in this unique conversation with Dr. Deuber. Facial plastic surgery procedures such as rhinoplasty and chin augmentation allow surgeons to create more balance among a person's facial features, while facelift, browlift, and eyelid surgery restore youth to specific areas of the face. Dr. Deuber is trained and experienced in the safest and most effective facial rejuvenation techniques and can recommend the most appropriate treatment approach to address your aesthetic desires and improve your overall appearance. Pregnancy is a beautiful thing but it can also do a number on your body. If your family is complete, it may be time to treat Mom! A Mommy Makeover addresses changes in the breasts and abdomen. Procedures needed range from breast surgery to tummy tuck to liposuction. Watch our new video to learn more about getting your pre-baby body back! Have you considered the benefits of body contouring plastic surgery procedures such as liposuction and tummy tuck? These procedures are designed to transform, tighten, and tone the body so you feel confident about your appearance. Dr. Deuber performs various treatments to remove unwanted fat and excess skin from areas of the body that do not respond to diet and exercise. The procedures that we perform are fully customized to each patient so Dr. Deuber can achieve desired aesthetic results. Dr. Deuber is a renowned cosmetic breast surgeon who has performed thousands of breast augmentation, implant revision, lift, and reduction procedures throughout his career. He is proud to be one of the few surgeons in the Dallas area to offer his patients a 24-hour recovery breast augmentation; this surgical technique minimizes pain after breast augmentation surgery so patients can return to their normal routine in as little as one day. Recover from breast augmentation surgery in 24 hours. Is your skin showing signs of aging or have sun damage? We now offer several laser treatments to address these concerns and more. Take a consultation from the privacy of your own home. A simple three step process. You can see Dr. Deuber with his wife and operative assistant, Cary Deuber, CRNFA on The Real Housewives of Dallas, Mondays @ 10/9c on Bravo. With 14 years of experience, Dr. Mark A. Deuber, board certified by the American Board of Plastic Surgery, is renowned in the Dallas area for his consistently exceptional breast enlargement results. His biodimensional technique for breast implant sizing and his gentle approach to treatment, which promotes reduced recovery time, make him the first choice for many women seeking breast enlargement plastic surgery in the Dallas, Texas area. Dr. Deuber’s emphasis on natural-looking breast surgery and extensive training in breast procedures make him one of Texas’ leading breast enlargement, breast lift, breast reduction, and breast reconstruction surgeons. 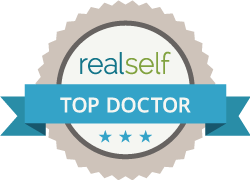 Additionally, Dr. Deuber provides body contouring and facial rejuvenation plastic surgery procedures. You can also find Dr. Deuber on Facebook.